William "Bill" Basie. The Count. The little man with the big band sound. 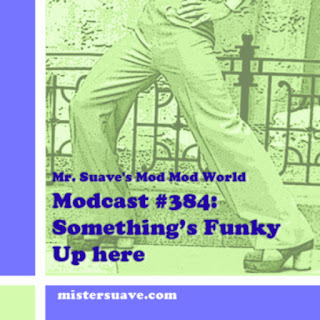 He may not seem like much of a mod, but he was suave, suave, suave. Count Basie's legendary status in jazz is no accident. He quite simply was the greatest of the big band leaders. Ellington, Goodman, the Dorseys, all had good big bands, and each was spectacular in its own right, but none had the incomparable grace that Basie lent to his big bands over the years. Count Basie got his start in Kansas City in the late 1920s playing Mississippi blues influenced jazz with Walter Page's Blue Devils. Having come from New Jersey playing in a vaudeville/jazz act, Basie was anxious to play with a band like the Blue Devil's who were considered at the time to be one of the best in the Midwest. However, Basie first had to overcome a serious battle with spinal meningitis. After his recovery he was forced to take work accompanying silent pictures -- a talent he learned from one of his early mentors Fats Waller. In 1928 Basie got his chance to play with Walter Page and began touring with the Blue Devils. Soon though, Basie jumped ship and went back to Kansas City where speakeasies, gin joints and wild jazz were everywhere. It was from the ashes of the Moten Orchestra and the Blue Devils that Basie first formed his own big band in the early thirties. Basie had played in an orchestra that over time had come to be comprised of numerous members of both Walter Page's Blue Devil's and Bennie Moten's Orchestra. In 1933 Moten split Kansas City and band members elected Basie to lead the orchestra. They opened for a new Kansas City club called the Cherry Blossom under the name Count Basie and his Cherry Blossom Orchestra. Eventually Basie organized another band under the title of Count Basie and his Barons of Rhythm. Throughout, the rhythm section of Jo Jones on drums, Walter Page on bass, and Basie on piano stayed together, beginning one of the legendary combinations of early jazz. Joining the band at this time was the incredible young saxophonist Lester Young, just in time for their radio broadcasts in 1935. Those broadcasts led to the national discovery of Count Basie and a recording invitation in 1936. Basie knowing next to nothing about recording contracts agreed to record 12 records a year for Decca records for $750 a year outright for the whole band. No royalties. By the time the band toured Chicago and New York in late 1936 it was up to thirteen members, now including tenor saxophonist Herschel Evans who had a heated on-stage rivalry with Lester Young. In 1937 in New York the Basie big band picked up its longest tenured member, guitarist Freddie Green who played with the band even after Basie was gone, right up until the time of his own death in 1987. 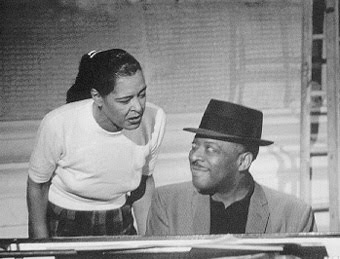 In 1937 Basie spent a night barhopping through Harlem and met Billie Holliday. Instantly he fell in love. With her voice. Soon Holliday began to sing with the band, staying long enough for a legendary run at the Harlem Apollo Theatre. Through the late thirties and forties the Count Basie Orchestra swelled to 15 members, and gained national recognition as one of the most swinging jazz bands in the land. 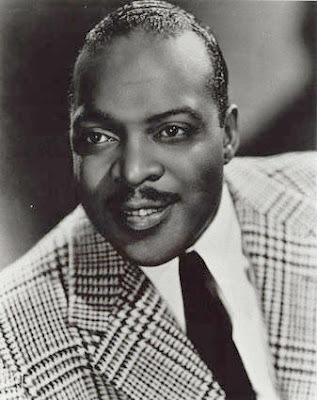 From classic hits like "One O’clock Jump" and "Pennies From Heaven" to a string of great Basie band jazz such as S"top Beatin Around The Mulberry Bush", "Jumpin at the Woodside", "Mama Don't Want No Peas 'N Rice 'N Coconut Oil", "Cherokee" and "Oh Lady Be Good", Basie grew to be a legend in those early years. Over the years Basie's bands were always filled with swinging soloists. Guys on trumpets, guys on trombones, and especially guys on saxophones, all who could belt out a swank tune that literally rocked the hall. Into the late forties and early fifties Basie worked with much smaller bands and his wave of popularity seemed to ebb. But in the late 1950s Basie simply reincarnated the Basie big band and began to have a significant impact on the world of jazz once again. From the swingin' devil may care sounds that had so infused Basie's early recordings he moved towards the swinging, slightly rocking, cool and hip jazz that was tearing up the clubs of the 1950s and 60s jetset. In 1966 he even succumbed to what everyone else was doing, covering The Beatles, producing Basie's Beatle Bag with swingin' covers of the fab four's biggest hits of the day. Billed as The Atomic Band, Basie's group once again was at the forefront of American jazz, swinging and playing harder than anyone else. They backed some of the great singers of the day such as Frank Sinatra, Mel Torme and Sammy Davis Jr. and became permenant fixtures in Las Vegas. Basie's bands at this time were loose, and played together in a fashion that shows the ease they had with each other’s styles. The band was at its biggest ever with 16 people including Joe Newman, Snooky Young, Freddie Green and of course Basie on the ivories. A certain coolness flowed from Basie during these years. A hipness that fit perfectly with the times. The band was smooth as could be, the rhythms beat hard, their songs cool and their concerts hot. Las Vegas was alive with Basie sounds like: "Corner Pocke"t, "Cute", "Indian Summer", and an absolute perfect arrangement of "Goldfinger" that was too cool even for Bond. The Count continued leading his band through the 1960s and early 1970s. 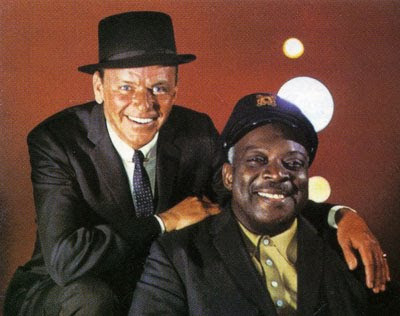 In 1976 he suffered a heart attack, and though he recovered, Basie performed only when his health permitted. In 1984 he died of cancer. His band has continued on under the leadership of Thad Jones and then Frank Foster, both longtime members of the Basie Orchestra.